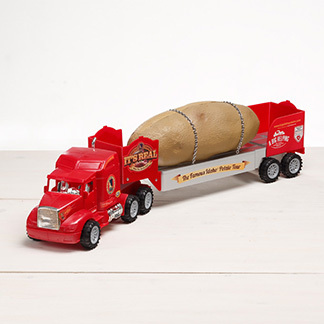 What’s more Irish than a 4-Ton Spud? This weekend was full of St. Patrick’s Day festivities, and boy was it one for the books! We started off our weekend in Atlanta with a few appearances including a morning show interview with Fox 5 Atlanta reporter Paul Milliken. It was so fun getting to know Paul and we found out that his first reporting job was actually in Idaho Falls. We bonded over our Idaho roots and he was stoked that we brought a little piece of Idaho to Atlanta. 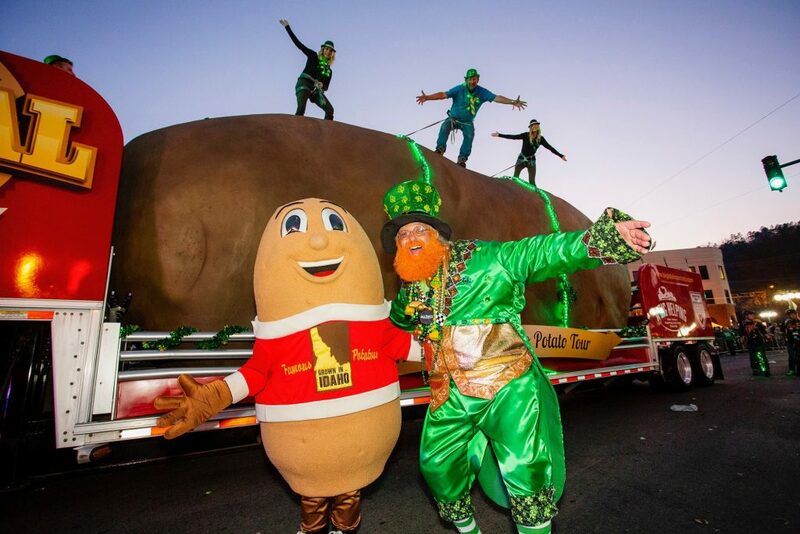 In the interview, we talked about our #bigidahopotato and how we were there for the Atlanta St. Patrick’s Parade! The parade is actually one of the oldest parades in America! It started in 1868 and is put on by the Irish Network of Atlanta. We were joined in the interview by a representative from the Irish Network named Susan, Irish dancers from Atlanta Irish Dance, and some festive llamas and their owners! It was probably the most Irish thing I’ve ever seen in my life! I’ve never had so much fun at an interview and it made me so excited for the parade! Thanks again to Paul and everyone from Fox 5! Click here to see our interview clip. The #bigidahopotato with Paul Milliken from Fox 5 and the Irish llamas! 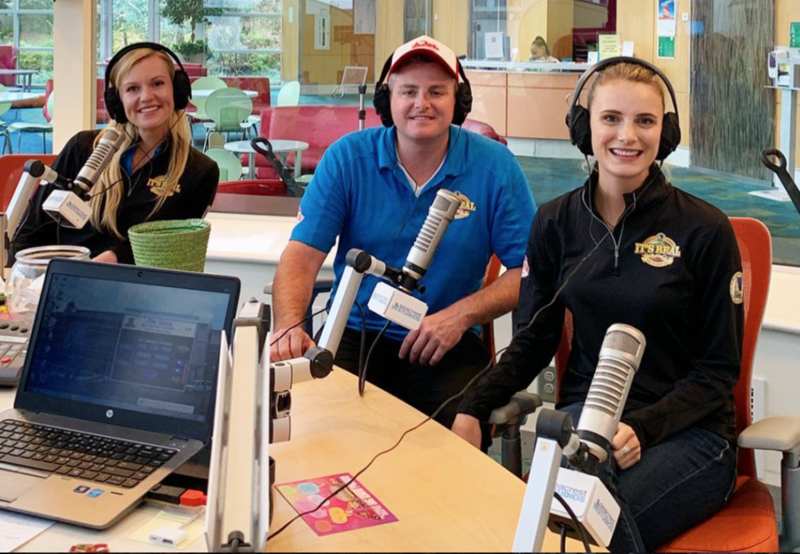 Shortly after our interview, we were off to a radio interview at Seacrest Studios at Children’s Healthcare of Atlanta. The Ryan Seacrest foundation builds recording studios in pediatric hospitals so patients can explore their creativity through broadcast media and also have a little fun during their stay. The Atlanta Seacrest Studio was the first studio built of it’s kind and now there are over 10 studios across the nation. Many famous stars including singers, actors, actresses, and other local celebrities come to interview and visit the children at the hospital. Some big names that have visited include Selena Gomez, Justin Bieber, Luke Bryan, Cardi B, Chris Pratt and many others. We felt honored to say the least that we were invited! We interviewed with their DJ named Wendy and she was an absolute blast! 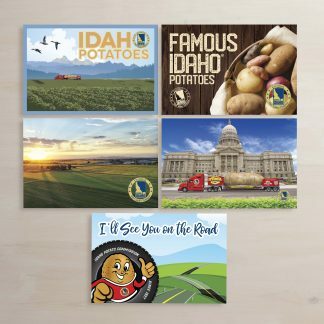 She asked all about our tour, where we had been, and some other fun potato questions. Our interview was broadcasted throughout the hospital so the children could watch it live or later on. After our interview, the #taterteam including Spuddy Buddy stayed for a few hours to meet patients and their families. We also had a signature board that they could sign supporting the Ryan Seacrest Foundation. It was so touching meeting all of the children and just seeing what an impact Seacrest Studios makes! I hope we can visit other studios around the U.S. in the future! The Tater Team interviewing at Seacrest Studios! 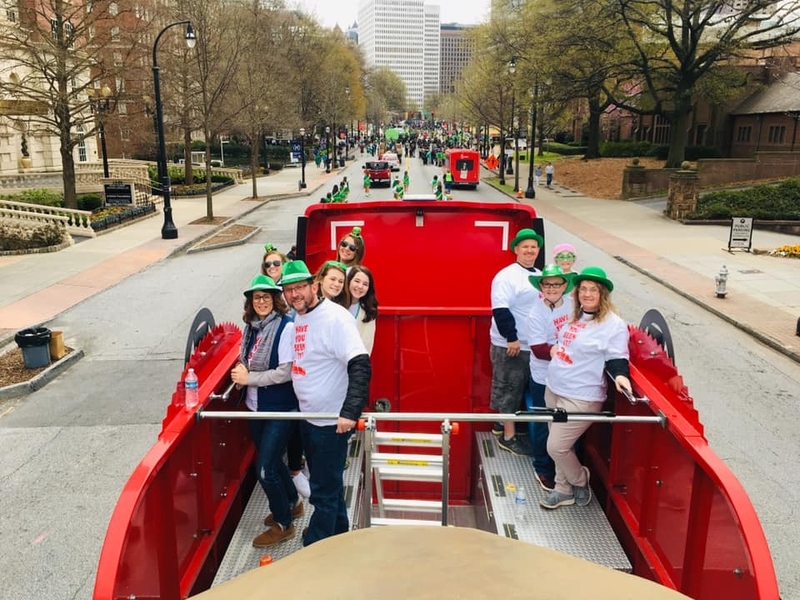 The next day was the Atlanta St. Patrick’s Parade in Midtown! We were accompanied in the parade by a patient from Children’s Healthcare of Atlanta named Briley and her family, two winners from a hot potato competition (put on by the parade earlier that day), and some folks from the Irish Network. It was a great parade with a great crowd! Thanks to our fun group who rode with us! The group before the Atlanta St. Patrick’s Parade! Once the parade in Atlanta ended, we jumped on the highway and made our way to Hot Springs, AR! Hot Springs is one of the top destinations for St. Patty’s Day and home of the World’s Shortest St. Patrick’s Day Parade. It was the “first ever 16th annual” parade this year and had a 98 ft. long parade route. 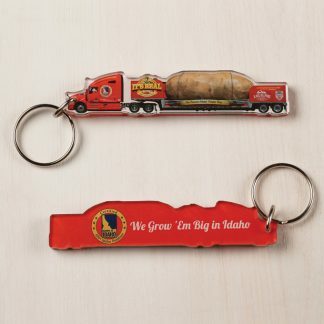 Our truck is 72 feet-long, so we basically took up the whole thing! There were many celebrities who attended including the Grand Marshall Ralph Machhio (from Karate Kid), Twitch (the DJ from Ellen Degeneres), and the Dallas Cowboys Cheerleaders. We were the finale in the parade, and they definitely saved the best for last! 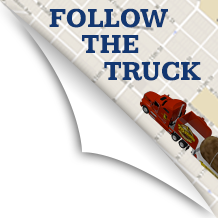 The #bigidahopotato was one of the most anticipated things in the parade this year and the crowd was unbelievable when we made our turn onto the route! It was probably the most energetic crowd I’ve ever seen and one of my favorite moments of being on the tour thus far. After the parade, there was a free concert by Three Dogs Night and we even got to meet Ralph Macchio and the Cowboys Cheerleaders in the VIP area! You could say it was a BIG success! The Tater Team having a blast! PrevPreviousThe 2019 Tour takes off! !